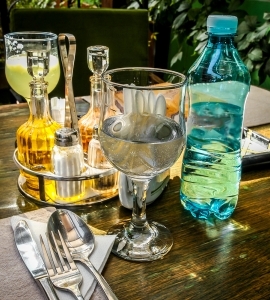 How do you give a restaurant client excellent service? How does the level of hospitality effect a diner’s experience? Since I am a close-up magician who performs at restaurants, these are questions I think about. I did some research on the subject and here some ideas I found interesting. The book “Remarkable Service” by the Culinary Institute of America states the attributes of remarkable service. I choose to let these attributes be a guide for how I perform at the restaurant. This entry was posted in Uncategorized on November 11, 2013 by admin.